Profitherm type batch furnaces. This unique, multifunctional arrangement of bell-type furnace and multiple quench tanks, allows a direct & rapid transfer of the load from the furnace(s) to the quench tank(s). The modular design enables easy expansions and allows all types of atmospheres and quench media. 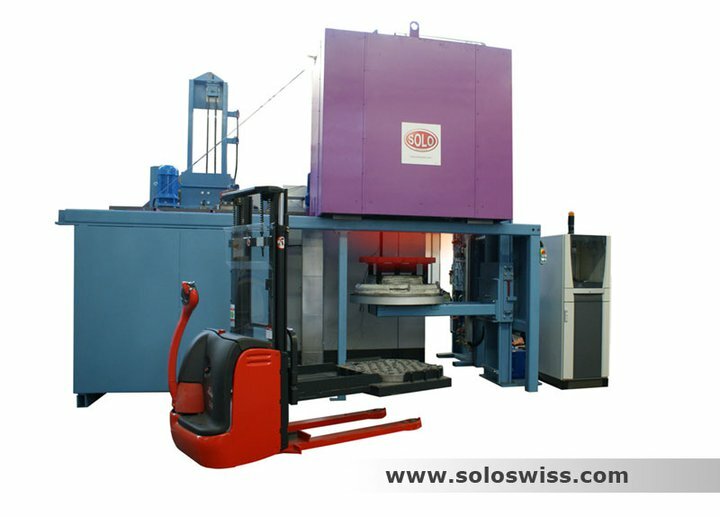 SOLO Swiss Continuous Furnaces. 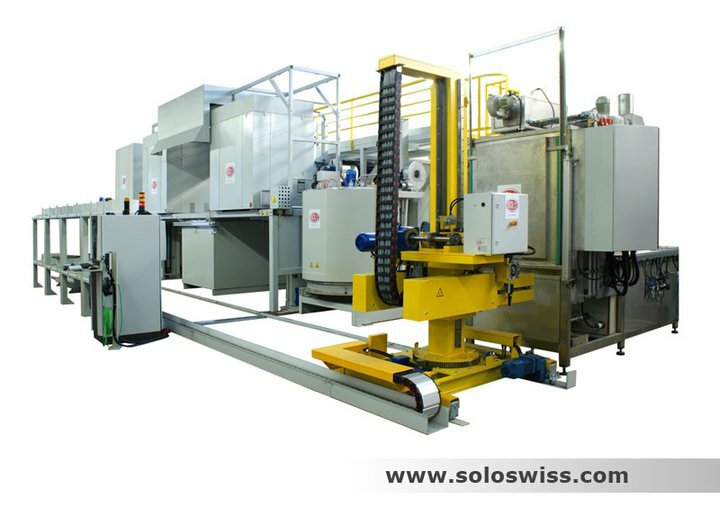 SOLO Continuous furnaces line which combines process quality and easy maintenance. A muffle in refractory steel permit rapid conditioning of the atmospheres for various heat treatments. SOLO continuous furnaces with online quenching. Mesh Belt Furnaces. Highly-focused heat treatment for guaranteed quality thanks to processes performed under confined atmospheres within a metal gas-tight channel and an efficient convection of the gas. All SOLO furnaces are equipped with alloy muffles to provide precision heat treatment and feature quick quenching. 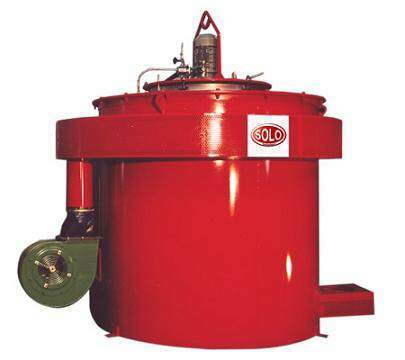 SOLO furnaces are well suited for the treatment of the small complex metallic parts requiring an enhanced heat treatment and reduced distortion. Parts include: springs, clips, fasteners, coins, needles, hooks, ball bearings, parts for the aeronautics, cutlery, watch-making industry, micro mechanic, as well as, long parts for which the bell furnace is most suitable. In all these fields, SOLO Swiss Group’s customers have been amongst the most famous names in these industries for more than 40 years. system. Economical and highly profitable thanks to rigorous value analysis.